No matter what kind of domestic removal you are planning in Stroud Green, N4, you will need a bit of help. You may be doing a large- scale move of a massive house. You may be moving from room to room in different flat shares. Either way, we can be of service. We can help with multi vehicle removals in the N4 region, or give you a man and van service. No matter what you need, our services will always be easy, friendly, safe and efficient. We only hire people who can work well with our customers, so that you get great customers’ service. We know that our team have experience in the business, so that you don’t have to stress about any aspect of the move. When you are searching for removals companies around Stroud Green, you may see that our name means a lot. This is because we are well appreciated as being excellent at what we do. Our movers are always able to make your removal issues go away, so that you can get your move done safely and securely. Nothing broken, no delays, no problems. If this sounds appealing, just call Moving Service on 020 8746 4402. It is an area in North London, in the London Borough of Haringey. 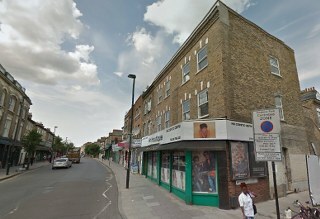 The area is near to Seven Sisters, Finsbury Park and Islington. The central area of Stroud Green is Stroud Green Road, and the shops there are notably diverse and independent. This is interesting as many high streets and shopping districts in London are now taken over by chain retailers and outlets. This diversity may well have to do with the multicultural diversity in the area, with many different nationalities and cultures settled in the region. The area originally had a railway station, but it was closed in 1954. The area is now best accessed by Finsbury Park tube station, which is on the Victoria line, or the Crouch Hill overground line. Closeness to Finsbury Park and clusters of nicer cafes and bars, as well as pubs and restaurants mean that the place could be considered popular. It is fairly typical in terms of North London residential areas, though the rail hub of Finsbury Park makes the area closer to the station less attractive. We at Moving Service are head and shoulders above our competition in terms of value for money. We know that our experience means that we can cater for all sorts of moving needs, but we also offer incredible prices. When you are looking for a removals company in Stroud Green, N4 you want to make sure that the money that you pay turn into high-level service. What is the use of moving house if it makes you a skint? We can help with a low cost man and van service as well, for smaller removals in the N4 area. Our removals professionals in Stroud Green are extremely helpful, both before and during the removal. They can help you to plan your move, so that all is mapped out well in advance. When you are halfway through the move, you want to feel like everyone is there on hand to help. Our movers are always willing to get their hands dirty to make your removal go smoothly. If you have any special queries or needs, then you only need to ask us! Why not give us a call on 020 8746 4402 and have a chat with our team for more information about our services. They will answer all your questions!